Get the action started with €5 free (only some countries) and enjoy a nicely packed library of eSport matches! The number of markets are unfortunately limited, but the match coverage is awesome and you’ll find most popular eSport games to enjoy! Unsure which team will win? Use the previous match result statistics provided to help you out! In need of support? They’re available 24/7 to assist you and with good withdrawal and settling times, you never have to wait long to get those sweet profits in your hands! Go and grab those free 5€ and start betting with BetRedKings by clicking the button below or keep on reading the full review. As a new registering player from Austria, Finland, Sweden or Switzerland you can get a €5 free no deposit bonus. All you need to do is to register an account and send an e-mail to [email protected] You also get a 100% deposit bonus up to €100, but the free money must be fully wagered before this bonus can be activated. For the €5 free bonus, the money must be wagered 10 times on odds 1.8 or higher within 15 days. For the 100% bonus, deposit + bonus money needs to be wagered 3 times at odds 2.0 or higher within 45 days. The maximum bet allowed is €30. As a new registering player from Norway, there is a €5 no deposit bonus and a 100% deposit bonus up to €400 to grab. 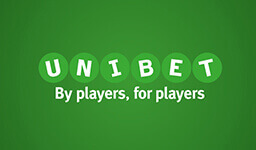 All you need to do to get the €5 free is to register an account and send an e-mail to [email protected] Please note that this free money must be fully wagered before you’re able to take part of the 100% deposit bonus. For the €5 free, the bonus money needs to be wagered 10 times on odds 1.8 or higher within 15 days. For the 100% bonus up to €400, deposit + bonus money must be wagered 4 times at odds 2.0 or higher within 60 days. The maximum bet allowed is €50. 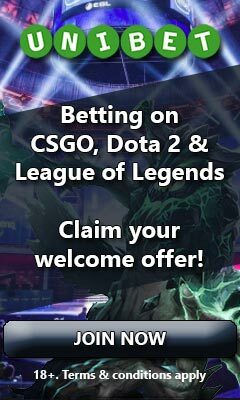 Players from other countries than the above (except for UK and Germany that are excluded) are able to get a €10 free bet if the first bet is lost. All you have to do is to deposit at least €10 using the bonus code below, then bet at least €10. If the bet is lost, a €10 free bet will be credited. When using the free bet, please note that only the won amount from it will be credited and not the value of it. If it wasn’t for a very limited variety of different markets being offered (usually only match winner and handicap), BetRedKings’ eSports coverage would be rated much higher than it currently is. 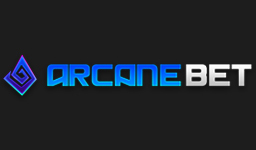 Their match coverage may not be the best of all eSport betting sites out there, but it is in fact really good. You’ll be able to find a huge number of matches covered from all of the most popular eSport games, as well as some rarer ones like Street Fighter 5. Further down in the review, you’re able to see all of the games listed. Apart from a great match coverage, a really nice thing about BetRedKings is that you’re able to see previous match statistics. This means that if two teams have faced off before, you’re able to find how these matches ended. Not only are you able to find statistics about this, but you’re also able to find how the last matches against other teams ended. This can be of great help when deciding on what team you should bet on. Just keep in mind that the odds compilers probably also use this information when they decide the odds on the matches. In addition to this, you’ll find some really nice withdrawal times and bets that are usually settled pretty quickly. If you ever need help, there’s always a customer service representative to help you out by live chat, phone or e-mail. Please do however note that you have to be logged in to your account to be able to use the live chat. Maybe the best thing, that we yet haven’t mentioned, is the €5 free you’re able to get if you’re from Austria, Finland, Norway, Sweden or Switzerland. All in all, BetRedKings is a good site and it’s really a shame that their variety of entertaining markets are as limited as they are. 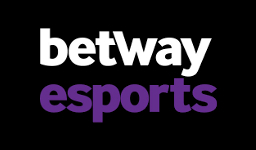 If they weren’t, BetRedKings would probably be among the top eSport betting sites. If your account is already verified, you usually never have to wait very long to have your withdrawal processed. BetRedKings aim to have every withdrawal made by a verified account processed within 11 hours. Should your account however not be verified yet, it unfortunately can take a bit longer. It’s also good to know that if you’re a loyal player with BetRedKings, your withdrawal if usually processed faster. When it comes to settling of bets, this is usually done very quickly. Live bets placed are settled as soon as possible after the event has occurred, even though the match is still on-going. Pre-match bets on the other hand are not settled until the match is over, but is then usually done within minutes. Should it be that the settling for some reason is delayed, you’re always welcome to contact the support to have it settled, as long as you have a trustworthy source for the result. Usually this is not needed, but for some obscure matches (in which eSports often fall under) it’s a nice policy to have and to be aware of. If you are a fan of slots from the game provider Williams Interactive, you’ve come to the right place as BetRedKings offer a lot of them. With around 340 slots in total from several different game providers, plenty of table games, card games and video slots as well as a live casino, this is by all means a pretty good casino. In addition to this they also offer a bit of virtual betting, got some scratchcards and provide poker within the poker network Ongame. Argentina, Austria, Bosnia, Brazil, Canada, Finland, Iceland, Indonesia, Malaysia, Netherlands, Nigeria, Norway, Philippines, Russia, Sweden, Switzerland, Turkey, UAE, Ukraine. Australia, Belgium, China, Cyprus, Denmark, France, Germany, Greece, Hungary, India, Ireland, Israel, Italy, Poland, Portugal, Romania, Spain, UK, USA.